It also had no clear effect in adults 18 to 49. New York • The flu vaccine did a poor job protecting older Americans against the illness last winter, even though the vaccine was well-matched to the flu bugs going around. The vaccine was about 42 percent effective in preventing illness severe enough to send a patient to the doctor&apos;s office. But it was essentially ineffective protecting some age groups. That includes people 65 and older  the group that&apos;s hardest hit by flu, suffering the most deaths and hospitalizations. The flu season that just ended was a long one that peaked in February and was considered moderately severe. But the flu-related hospitalization rate for older adults was the highest it&apos;s been since the severe 2014-2015 flu season. Like that season, last winter was dominated by a kind of flu  Type A H3N2  that tends to cause more deaths and serious illnesses than other seasonal flu viruses. 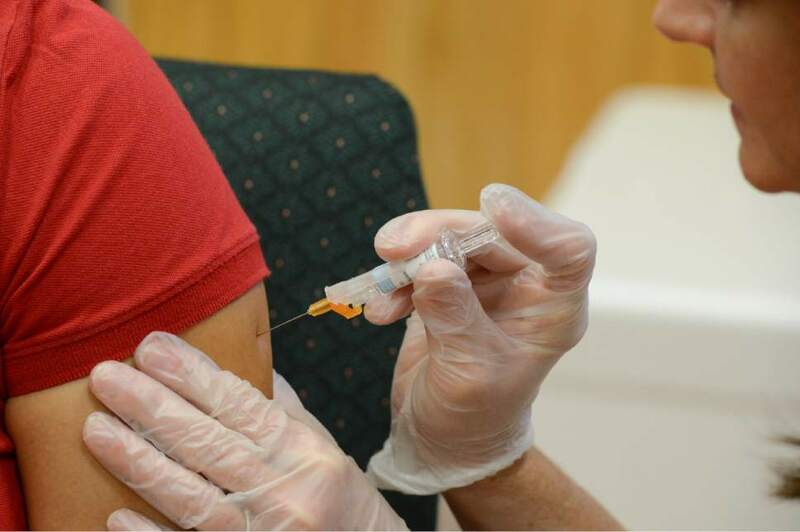 "While it is clear we need better flu vaccines, it&apos;s important that we not lose sight of the important benefits of vaccination with currently available vaccines," said Jill Ferdinands, a flu epidemiologist at the Centers for Disease Control and Prevention, in a statement. Last winter&apos;s vaccine did well in protecting young children, about 60 percent effective. And it did OK in older children and in adults ages 50 to 64. But it had no clear effect in adults 18 to 49, or among the oldest adults. CDC officials said the numbers are preliminary. Investigators are trying to figure out whether past flu vaccinations made a difference in how well the most recent flu shot worked, and whether there&apos;s a way to check more people to see how quickly the vaccine&apos;s protection is lasting. Among infectious diseases, flu is considered one of the U.S.&apos;s leading killers. CDC estimates there are tens of thousands of deaths each year from flu and pneumonia.